In approximately six months I will be 54 years old. Yesterday, I got an invitation in the mail from the AARP (American Association of Retired Persons) to join up – just $16 for a year’s membership – complete with a couple of fake cards for me to “keep in my records.” If I pay them some money, they’ll send me my real AARP cards and I can be a bona fide card-carrying member, eligible to receive their magazine and get all sorts of great discounts and deals. Cool, right? Except I’m only 53 and a half, guys. I’m … I’m not a senior citizen! My late grandparents were true senior citizens, complete with wrinkles, too much perfume, gray hair and big ears. My mother is a genuine senior citizen. She’s 77 and a half, very healthy and honestly, she looks no more than 60 to me. She has a great figure. My Dad was a senior, but he looked a lot younger than he was, too. He’d have been 82 last month if he hadn’t died from a freak bump on the head in 2005. He was basically healthy as a horse, strong and active, played golf several times a week, and had been on blood thinners for many years because of heart problems. He’d survived two separate heart valve replacements over the course of 20 years. But when he bumped his head that day, it caused a massive bleed into his brain, thanks to the coumadin. His time was up. Even almost five years after his death, it still shocks me. So what is it, exactly, that makes us officially old? That letter from the AARP? See, in my mind I’m the same person I was when I was 10: I’m gifted with a vivid, visual imagination that manifests itself most often in writing and drawing. I’m blonde and blue-eyed; rather tongue-tied and uncomfortable in social situations; I’m a gawky, average-sized person who loves animals and birds and star-gazing; and I’m smart, even if I’m terrible at arithmetic. I’m a whole lot tougher and braver than I look. I can be aggravatingly stubborn. I’m empathetic, loving, forgiving to a fault and compassionate, and I’m never quite convinced that I’m good enough. At anything. That was me at 10 and it’s still me four decades, a few years and six months later. Sure, I’ve learned a lot since I was a child. Some of the lessons were very hard, but I wouldn’t change anything I did or didn’t do, looking back. I’m wiser than I was 10 years ago and a whole lot wiser than I was 30 years ago. I like me. The most important thing I’ve learned is that I will never stop learning and will never, ever know everything, even though I did when I was 20. I’ll concede that my body has changed. I can’t do some of the physical things I once could. 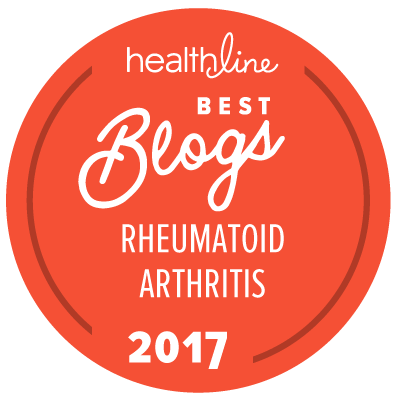 I’ve had rheuma since I was 31 – practically a child! – and age has nothing to do with that. I have crinkles at the corners of my eyes and after losing 50 pounds last year, I discovered crepey skin on my neck and hands that hadn’t been there before because it was all puffed up with fat. This year, my hands started looking old to me, which is rather disconcerting, but they’re still good hands. I find gray hair not on my head but in my eyebrows, of all places. The still-blonde hair on my head is falling out and thinning alarmingly, it’s true. That’s not because I’m old, though. It’s just a side-effect of one of my rheuma meds. And yes, even moderate exercise tires me out quite a lot faster than it used to. Once again, I blame that on RA, the bugger. Being physically un-fit doesn’t help, either. If I was fitter – and I’m determined that I will be, soon – I’ll bet I can run and jump just like the 10-year-old me once did. What fun that will be! Really, all it will take is some steady exercise, another 30 pounds of weight loss, and a whole lot of imagination. Those first two will be a real challenge, but the last will be dead easy for me. As of today, I’m four pounds lighter on my feet than I was at this time last week. I feel better overall. My pants aren’t as tight. Yes, there’s a price. I didn’t get to eat pizza and I spent a fair number of days after walking quite sore and loose-jointed. But it’s already getting easier. In the previous post, I linked to a man and his thoughts about healing, incurable illness, disability and living well. He’s a year older than I am. 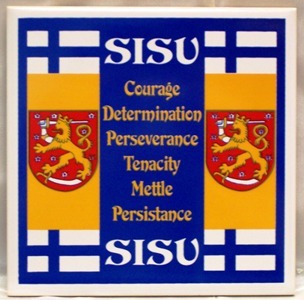 He’s got good Finnish blood and sisu* running in his veins, just like I do, except he has a bit more of the first. We’re dead even on the second. He’s lived his whole life with a disability – he’s blind – but he lives well both because of it and in spite of it. He likes the word “tempered” when it comes to describing himself. He knows he’s incredibly tough and resilient, his strength of body and mind forged in the fires of personal hardship. He has never allowed his disability slow him down much; instead he’s honed his talent with imagination and words into utterly exquisite prose and poetry. Stephen Kuusisto inspires me and others all over the world to do the same. My body is getting older, but my mind remains very young. They’re both tempered. It’s a good thing. Wren, I love this post. Reading through it I wanted to run and play myself, even on this difficult to move morning. You are a great role model in many ways but your thirst for life and ability to keep going always amaze and inspire me. Socks: Such wisdom! You must really be old to have learned all that! (By the way, you’re eligible to join the AARP when you’re 50, I’m surprised you didn’t get an invitation before now.) You remind me of my friend who told me to decide how old you FEEL, then live your life that way. And you’re an outstanding example of the concept that age is simply a number. My birthday is in two weeks so your post really hit home. Outstanding post, I learned something and you gave us a lot to think about. What could be a better birthday present than that? Sorry. I just read Warm Socks blog before I read yours and accidentally addressed the comment to her instead of you. You can tell it’s early! Sorry, sorry, sorry! The generations before us were a lot healthier than us and the way we eat, move, and work all play a part in how we physically feel. The retirement age may be going up but not our health. For me, I want to feel younger and stronger, but my life is all about running in 3, 4 or 5 directions at once so if anything, I guess I am just tired, not old but I still feel old, and my directions always seem to collide. I am sure that in ten years, I will feel less tired and perhaps even less old. I will hold on that. Wren: what a lovely glimpse into your thought process. As for me I’m still sixteen and the RA is a year away, but wierdly I had to have bunion surgery at 14. I was a cutie, extroverted, funny, athletic, devoured books, decent student that loved Drama the most and the cheerleader that could jump the highest. Due to life circumstances and the recent death of my Mom, I feel like I’m 110. I’m now the old lady who coughs and breaks a rib, can’t carry in my own groceries, heck I have a hard time with almost all of my ADL’s. I never knew life would get so very hard, so early, and I’m 56, went on disability, for the 2nd time at 47. It was funny that as long as I could work, and I worked full time with very few breaks, my identity was that of someone who coped pretty darn well with a bad situation. And bless my Mom, she was the best cheerleader for me in the world. We laughed so much at the weirdness of my RA, right from the beginning. I’d love to get back to a point where I had the positive outlook you do and that’s what makes reading your sight a pleasure each day. You seem to have made peace, as much as one can with your RA, while I’m still fighting the same old fight. I hate the dreams where I’m still 16 and I can run like the wind. Sorry this got so long, guess I should be happy I’ve got a great therapist who understands that it’s been almost 10 years of slow devastation. So I’m trying. Thank you so much for writing about your experiences, your good outlook and all. I think of this site as part of my therapy in trying to cope. Sorry this is so long, I’m officially old, as I can’t tell a short story for anything anymore! Thank you, as always, for your wisdom and inspiration. Sometimes I feel so incredibly young and wonder if I’m ever going to flip the switch and become an adult. I’m very happy to know you’re the same person you were when you were ten. I think that’s a wonderful thing. Maybe I’ll never flip that switch. AARP started sending me things at 49 and it was really a shock. Two years later and I still can’t believe I am eligible. Now I know what my mother meant when she told me she looked in the mirror one day and thought “Who is that old woman”. Until she became quite ill she said she always felt she could do everything she did when she was younger. Maybe just a little slower. I fully intend to do the same and I can see that’s also your plan. Cathy: Your take on life and how you handle your RA inspires me, as well. I love the Internet and I love that we can interact and communicate in spite of the great distances between us. I feel like I’ve made such good friends by blogging — wouldn’t it be wonderful if we could all meet up someday? Lana: So true. But when I was your age, I was also juggling a full-time job that sometimes crossed the line into 55 and 60 hours a week, was living in a foreign country with a different language, had a home and a relationship with my husband to maintain, and a small daughter who needed to be got off to day care and school each day, picked up, etc. — all while also coping with severe RA. I honestly don’t know what I’d have done if I’d had more than one child to be responsible for, so my hat is truly off to you. That you manage it all with RA and FMS is amazing. And sure, you’re tired. I was too. But even with all that, I know for a fact I had more energy back then than I do now. As your kids get older, I hope you’ll be able to slow down a little. I remember back then, when I was in so much pain so often, I’d retreat to the bathroom and take long, hot baths, which soothed the pain a little but, more importantly, allowed me to decompress. I hope you do things like that for yourself — even an hour a day can make a huge difference in your outlook on life. Nance: Thank you for reading. I’m so glad that you enjoy my posts (music to the ears of any writer, of course!). But I’m sorry you’re feeling so low right now. Perhaps rather than hate to think of that 16-year-old you once were, it might help to think of the 17-year-old with JRA you became, and offer her your heartfelt compassion. 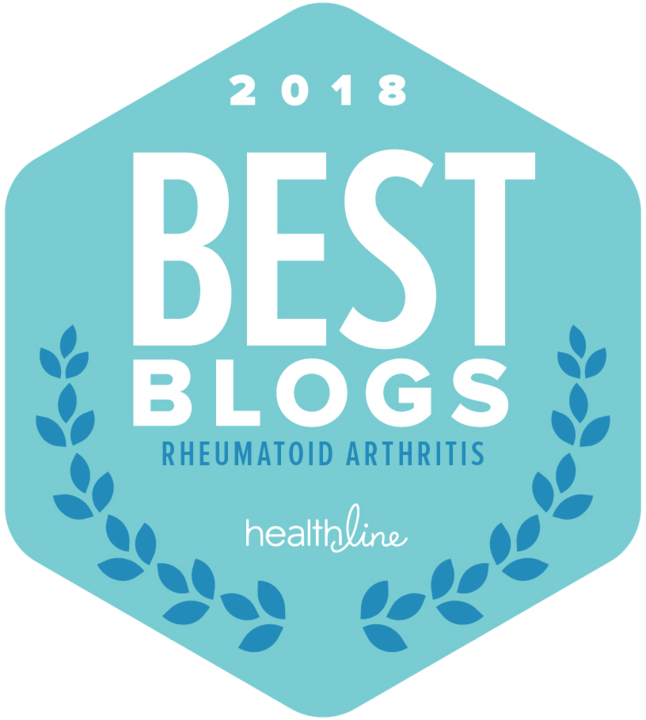 I learned that particular practice from Tom, who writes the blog Living Your Life with a Chronic Illness. (It’s in my blogroll on the right.) Most of us are quick to offer compassion to others, but we rarely (if ever) give it to ourselves. And sometimes, we need it most of all. Please go look at his post about compassion. It’s very good. And by the way, you’re NOT old, even if you feel like you are. It’s a good thing that long stories aren’t REALLY the proof of elderliness, or I’d be ancient! I hope that your pain will ease and your spirits lift soon. There’s a beautiful girl inside, waiting to greet the world again. Wren – Great posts over Living…, positive suggestions are really welcome at this time. Off to the pain doc today to see about getting my T-7 injected, kinda makes me shiver. I’ve had oddles of joint shots before but never this close to my spine. Temporary relief as we look at options for permanent relief. Will also have to have s/i trigger points done. Just have to remember not to look at the needle, and yodel into the pillow in the process. Have a great day, Wren. What a great post, Wren. And congratulations on the four pounds!